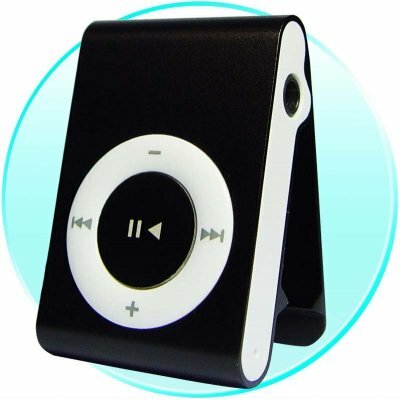 Successfully Added Upgraded Clip MP3 Digital Music Player - 4GB + USB Port to your Shopping Cart. Definitaly one of the hottest sellers for Chinavasion has been the CVAAL-B10 Clip MP3. We are now pleased to say that we have the upgraded version with a 2.0 USB port, at the same price! It has long lasting MP3 music playback, built in rechargeable Li-Ion Battery, clips on to your shirt or belt, and a small and convenient size. Colours available- silver; red ; black: Please specify the colour(s) you require using the comments box in the online checkout process..